Shear maintenance and care are the least time consuming parts of any stylists’ week and yet they are a very important part, a part that many neglect. Shears and clippers are a stylists’ most important tools and taking those few extra steps and a few moments of your time can save you much time, money, and agrevation. As we have seen in the field the stylist who takes the time to care for his/her shear properly can expect it to stay performing 2 to 3 times longer than the one who does not. Listed below are some general guidelines and suggestions which can do just that, save you time, money and agrevation!! It only takes a few drops applied at the pivot points of your shear weekly to help keep unwanted hair and debris from sticking under junction point. This leads to smoother operation, prevents scratches in ride line and leads to less variance in shear tension. Knowing how to adjust shear tension and checking the tension regularly. A shear that is loose–no matter how sharp–can lead to hair bending. A shear that is set tight leads to premature dulling and scratching. 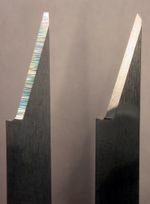 Without good tension, you end up with a rough operation and a shear that is in constant need of sharpening. To set tension, hold the right handle in your right hand and gently open shear with left hand most of the way. Let go of the left handle and let shear close where it will. If properly tensioned, your shear should not close all the way. It should stay open approx. 1/3 to 1/2 of being fully opened. Having clean and oiled shears is essental to properly adjust tension. Set tension with tension knob or screw tensioner. Remember it only takes a couple of clicks of your knob or a slight turn of your screw. Gently wiping shear blades off in-between cuts remove excess hair and debris such as hair sprays and gels. This helps you keep the pivot point of shear clean and also keep you from re-cutting the same hair over and over. Plus, you want your customers to see your clean shears. Always keep shears stored in a case or seperate area of drawer with towel or something soft. Nicks in the underneath side of blade are a shear’s performance worst enemy. When setting shears on counter or cart after cutting, make sure blades are closed and not open to prevent the underside of shear from rattling around and causing nicks. Shears stored in a drawer rattling around with everything else tend to always be having problems due to the nicks this causes in underneath side of blades. Avoid draoppage by setting shears in a secure spot where the likely hood of accidently hitting and knocking off station is reduced. Clean shears lead to less dropage. Do not spray chemicals on shears which may lead to pitting or corrosion,etc. Simply wipe off with clean water and soft towel and re-oil. If shears are nicked try to avoid useage as the longer you use a nicked shear the deeper the nick gets thus the more material you must remove during sharpening to restore shears edge. Less material removed leads to longer shear life. The two single most important factors in reliable clipper/trimmer operation is to avoid dropping and to keep blades well oiled with a good clipper oil. We suggest real clipper oil not combination cleaners/lubricants that comes in a spray can. If you’re working in a regular salon enviroment and using clippers and trimmers daily, we suggest oiling the blades daily. Apply oil to the parts of blade where there is metal to metal contact. It only takes a moment. If you’re working in chain shop or barber enviroment we suggest 2 to 3 times a day oiling. Keep blades brushed off of excess hair with blade brush provided at purchase. Regularily make sure to unravel all cords, to help avoid cord problems and be more user friendly. 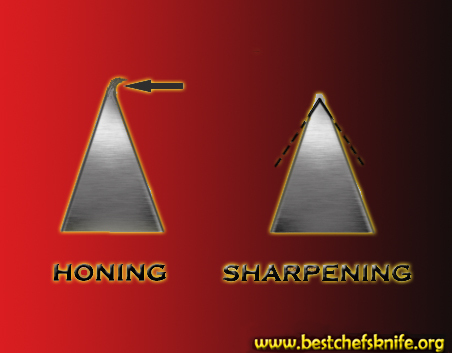 Know how to keep blades adjusted and aligned. If you ever have any questions, just let us know. We can show you how to adjust your particular clipper/ trimmer.